The Civic built Honda’s global reputation and re-defined the standard when first launched in 1972. Totally re-engineered and re-designed, the new 10th generation Civic Range is set once more to challenge convention. 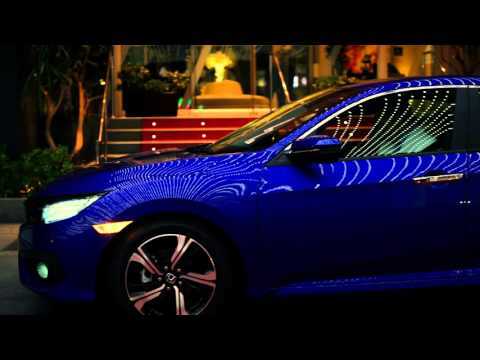 With a fierce new shape and distinctive cut lines, now in it's 10th-generation, the Civic has never looked better. It boasts a sleek profile and a long wheelbase, making it sporty even when standing still. The distinctive LED Daytime Running Lights let you see more road and use less energy, while the rear taillight design incorporates the distinctive C-shaped LED taillights. Inside the car there is a host of advanced features to improve convenience. Cruise control, smart entry, walk away lock, one push start system and remote engine starter are all standard features on the Honda Civic. Apart from these, the Civic also features a segment-first Electric Parking Brake. The EX and RS models also feature a wide angle rear-view camera for safer parking manouvers. As standard, the car boasts an audio system with AUX input for connecting a personal music player. 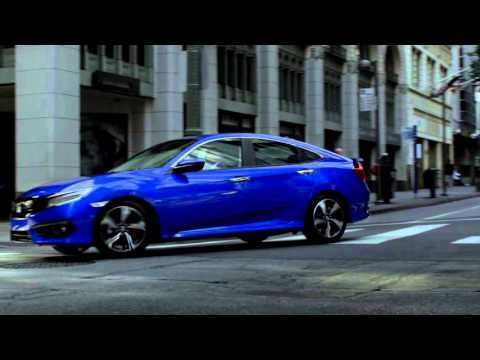 The Honda Civic comes with a choice of three engines available. The normally-aspirated 4 cylinder 2.0 liter engine delivers 158hp. Alternatively, 1.5L turbocharged engine is available, providing a roaring 180hp ensuring robust performance and high cruise efficiency. Finally, the recently added 1.6L normally-aspirated engine delivers 123hp while maintaining an excellent fuel economy rating. All of these engines link up with Continuously Variable Transmission (CVT) for a smooth transfer of power to the road. 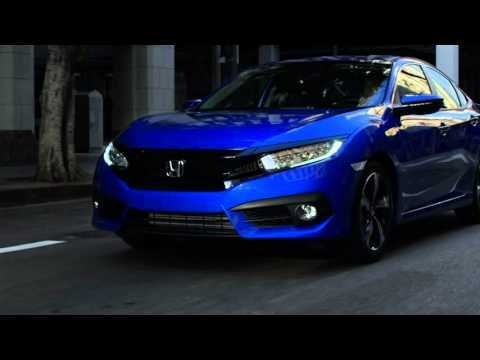 Safety is another attractive element of the Civic and one that adds peace of mind to every trip. A number of advanced active systems have been included to prevent accidents including Anti-lock Braking System (ABS) with Electronic Brakeforce Distribution (EBD). The system maximises the car’s stopping power and keeps the driver in control during heavy braking. For optimum protection in the event of an accident, the model also features a front dual SRS airbag system as standard, as well as side and curtain airbags on the EX and RS models. The Civic also features Honda’s brand new Straight Drive Assist technology as well as Hill Start Assist.